The Pendant360™ gives you a way to bring Revolution Acoustics’ constant-SPL audio coverage to open plenum spaces. 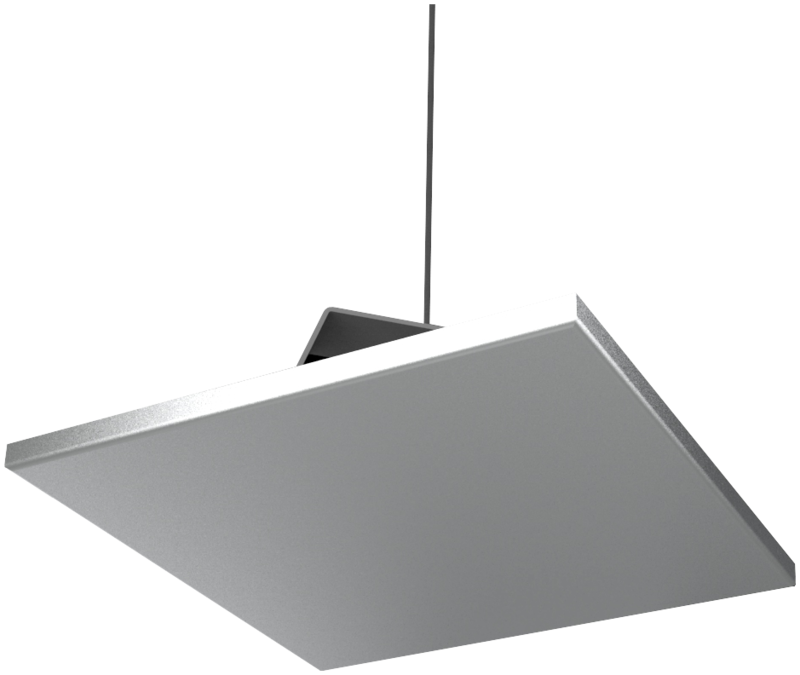 This small (13.8” square / 350 mm x 0.6” high (15 mm), paintable panel suspends from the ceiling and supports one SSP6 Multiducer. It’s perfect for extending the uniform coverage of your sound masking system into a room with open ceilings, or for providing background music and paging in retail and other settings. It’s height-adjustable and may be mounted horizontally or vertically.